There’s a whole lot of layering happening where we are, and we’re finally beginning to feel chilly more often than not. 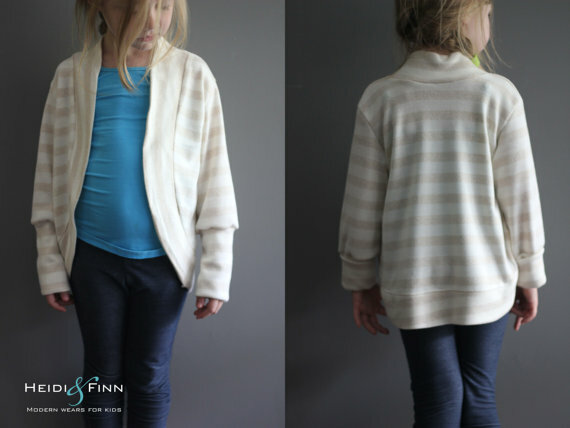 You’re going to love this week’s Friday Fiver – it’s a comfy knit layering piece in sizes 12m to 12, the Slouchy Cardigan from Heidi & Finn! It’s hard to go wrong with fabric selection with this one. And it’s hard to imagine how many of these would be TOO many – because it’s so comfy and wearable with everything. I’m a fan of any combination of stripes and prints for these. Print body and stripey sleeves? So fun! Or vice versa! New to knits? YOU CAN DO THIS! Experienced with knits? YOU CAN DO THIS IN 45 MINUTES! That’s my favorite kind of sewing. 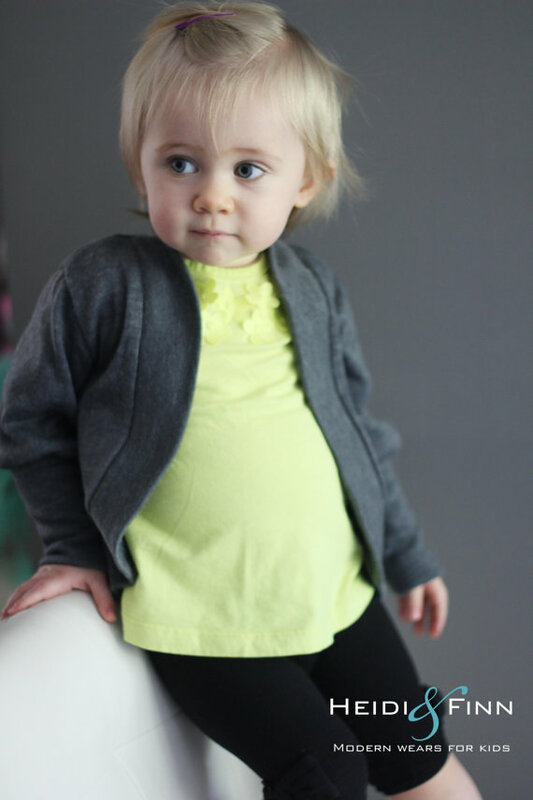 Head over to Heidi & Finn’s Etsy shop to grab the pattern. No coupon code required, she’s adjusted the price on the back end, though it’s in Canadian Dollars so it may vary a penny or two because of the currency exchange. Maybe yours will be $4.99! International excitement! Offer valid from 6 am Eastern today, November 20th for 24 hours. AND – before you go – you need to know – you’ll want to check back here next Friday. Can’t tell you why. But. You should save a few minutes to check in, mmmkay? Cozy up with your food baby on the couch and come back for dessert. Until then, have a lovely Thanksgiving! « Sewing Machine Coloring Page – Free Printable!